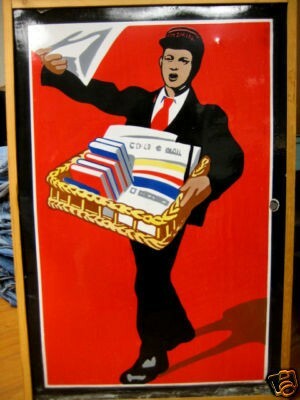 This sign shows a man handing out books and paper. The sign measures 24″ by 36″ and is red, black, white, and yellow. This sign is for WH Smith.